Sorry I haven't been on much....I am in the throes of Ustream Projects for Flying Unicorn!! Plus I am also in the midst of a re-org in my scrappy space.....nothing like doing everything all at once. What a mess, I have!!! Gorgeous papers are Studio 75 Splash it Collection. I cut up a piece of cloth netting, and glued it to my background, and then glued some glass beads over top. My title is a combo of words from 2 different chippy companies, and were painted black. I love how the paper cord, under the pic looks like a flower!!! Not planned either!! Well that's all for today.....Ustream Projects are calling!!!! Stay tuned for more news on that!! Net fabric - a gift from Anne Marie - thank you!!!! Today, I am sharing one of the layouts I created with the October Flying Unicorn Kits. I am so in love with these papers!!! On the background, I stenciled with Crafter's Workshop Mini Numerals and Tim Holtz Distress Ink in Fossilized Amber....a new fave!!! Using Unity's Bring It To Life Stamp and Ranger Archival Ink, I stamped randomly on my background. After glueing some scrap pieces, I added my pic, and tucked in some journal cards, element and word stickers and kraft die cuts. Next I dripped, sprayed and painted on the 13 Arts Mist in Pastel Green. I added some 13 Arts Silver Microspheres with Golden Soft Gel. The Love chippy was misted, then washed with Prima Mica Powder in Bottle Green, and then painted with 13 Arts metallic paint in Old Gold. The flowers......Prima Coy Magda and Petaloo Dahlias Yellow and Mini Mix Yellow. Some were treated to a bit of Vintage Photo Distress Ink. The kraft leaves, were also treated to a bit of Old Gold Paint, and some Silver Microspheres. Using up my stash, yet again!! This is definitely one of the things I love about playing in challenges!!! You can barely see it, but there is a bit of Shimmerz Spritz Bamboo Leaf in the background, along with an overcoat of Studio 490 Embossing Paste Metallic Gold, through a Joggles Branches stencil. I used a few kraft and wood embellies, some with Tim Holtz Distress Ink in Vintage Photo, to achieve the browns in the challenge. Of course I added Prima resins, with a touch of Viva Decor Inka Gold in Gold over top, as well as Prima, Petaloo and I Am Roses Flowers. I chose to go with the 'recipe' journaling, and have added it to the wood tag, inside the mini tag envelope. Please make sure you stop by the Color, Stories, Inspiration Forum, and check out all of the gorgeous DT Projects!! Today I am sharing a layout created for Flying Unicorn, using the July Your Art Your Passion Kits. I absolutely love this kit!!! The Lemon Craft House of Roses papers are stunning!! And they work very well with Prima's Debutante papers too!!! The background is misted and splattered with Shimmerz Green Olive. Then I used Dylusions Stamp 'Inbetweenies' with Ranger Archival Ink in Watering Can to stamp the stitches and hearts. I went ahead and stamped more hearts on scraps of papers from the kit, and then popped them up on foam dots to elevate them off of the background. Before adding my photo and mat, I place gold thread, on the background. It's a bit hard to see in the pic, but it is there. My title is a Scrapinec chippy, colored with Prima Color Bloom in Ginger Coral (swoon!! ), a new fave!!! I also went around the edges of my paper with a Faber Castell Pitt Artist Pen in Black, and then with a Copic Marker R24 Prawn. The flowers are from Prima, Coventry Rose Romantique and Lyric Collection, as well as Petaloo Botanica Velvet Hydrangeas. I also added Jillibean Soup Wood Veneers colored with the Ginger Coral and Green Olive. I used papers from two different SEI Collections.....Think of Me and World Market, along with a few scraps. The bubbles are stenciled through a Prima stencil, using paints from Liquitex in Titanium White, and Dina Wakley in Ruby, Turquoise and Night (which looks black, but is a very dark navy blue). I traced around some of the circles, as well as edged the yellow paper with a Pilot Permaball Pen......LOVE that pen!!!! It writes on anything!! The blue tags are from Martha Stewart, the title is Elegant Diction from Authentique, and the doilies, wood hearts and arrows are from my stash. Happy Scrapping!! And thank you for stopping by!!! I used the top row: Earth Tone Background, Frame and Wood Element. Here is my take on the challenge. I have been hoarding the BoBunny Et Cetera Collection for a long time, and I finally decided to use it for this layout! For the background, I sprayed Lindy's Stamp Gang's Starburst Spray in Cocoa Bean Copper through a Prima Stencil, and then added a bit of stamping with Tim's Vintage Photo Distress Ink and my fave Kaisercraft Stamp 'Script'. I used the cut apart sheet from the collection, as my photo mats. In between those layers, I added some Prima Wood Icon Frames, which I left bare. I know, they look white, but they're not. The flowers are Petaloo Sugared Blooms and Faux Dried Minis, as well as one Prima in brown....Rodanthe, I think. The long brown piece under the pic, is a small stick, which I painted a wash of Dark Burnt Umber Paint and water mix, over, and then quickly wiped it off. My title is the first sticker.....that face. Love his face!!!!!! Mason, my grand-son, in case you didn't know. The stickers are all from Heidi Swapp, 2 different packages, which I mixed together. I added more Prima Frames, and one word from the Wood Icons, which was also painted with Dark Burnt Umber. I went around the stickers with the Vintage Photo Distress Marker, and washed over it with water. I enjoyed doing this layout!!! It's been a while, since I've worked with mostly neutrals, so it was refreshing!! Of course the splashes of green, really make this piece stand out! Make sure you stop by the 1~2~3 Get Scrappy blog, and check out all of the DT creations!! And why not join us, by playing along with the April Challenge!!!!! Happy Monday! And I just realized that I didn't post on Friday.....oops!! 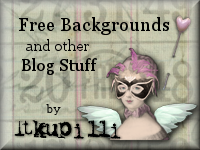 Today I have another layout for you, made with the January Kit of the Month and Addons, from Flying Unicorn. I absolutely love the Riddersholm Vintage Venture papers.....so gorgeous!! And I am a huge fan of wood patterns, so I had to use this one first! I used a Heidi Swapp Stencil and 13 Arts Pastel Coral Mist on the diagonal, fading it out as I went further away from the center point. Once dry, I drew around the shapes with a Brown Fine Point Sharpie. I also added more stenciling with the Prima Stencil included in the Mixed Art Kit and Golden Molding Paste, though you can barely see it. I layered the transparencies, to create my title, added the small envelope to the back, and then added my pic over top. The heart wood chippy was a polaroid frame, which I cut apart. You can barely see the remnants of it, on the opposing corners, just tucked under the flowers. I used scraps from another pp from Riddersholm to diecut with the Prima Flowers Die. And then layered them under Prima Flowers and May Arts Twine. Some of the flowers were painted with Shimmerz Inklingz in Corney Flower Blue. I tucked in some of the stickers and the 'love' paper clip to the top corner of my photo. I distressed the edges, then went over them with Walnut Stain Distress Ink. Well it's almost Christmas! Less than a week to go! It's scary how fast time flies! It seems like just yesterday it was summer. I wanted to keep this one pretty simple, and I love how it turned out!! I started with 13 Arts papers from the Cozy Evening Collection. I layered 2 pieces, and distressed the top one. Then added a bit of doodling around the edge with a Pilot Permaball Pen. Then it was time to add some stenciling with a 13 Arts Shape - Art stencil....I used Golden Light Molding Paste, because it dries more opaque, and I wanted the stenciling to stand out. Next, I added some of the 13 Arts Black Ink in splatters, and drew a circle with it, by putting some of the ink in a fineline applicator. I took the Creative Embellishment chippies and another circle chippy from the kit, and gessoed, then added Champagne Gold Gelato over top, and then Pan Pastel in Coarse White Pearl, to tone it down a bit and to add shimmer. Before adding the chippies and pic, I layed a piece of the grey ribbon down, but just off center. The flowers are from Prima and Petaloo. I also added 13 Arts Stickers and Prima Cork Stickers to finish off the layout. You can see how thick the splatters are....this ink dries quite dimensional. Well that's it for today. I have to say that this has been one of my favorite kits from Flying Unicorn. Love the 13 Arts papers, stencils, inks and sprays that were in this kit!!! And yes, I used all of it up, except for a few small scraps, which I kept!! Happy Friday!!!! Doing good......keeping on schedule!! Today I'm sharing one of the layouts I made created with the Flying Unicorn December Main Kit and Addons. Love the Cozy Evening Collection from 13 Arts!!!!! I used the Christmas Eve and Tender Morning papers, as well as a few scraps. To start, I diecut the chevrons with Tim Holt's Chevron Alterations Die, I then flipped the innards, so that I had a different color showing through. The background was stenciled with 13 Arts Shapes-Art stencil and a mix of Golden Molding Paste and 13 Arts Chalk Spray in Woodbine. I also added more stenciling, with the same stencil and Golden Light Molding Paste....it stays a bit whiter. I also added drops and splatters of 13 Arts Splash Ink in Black to the background. I layered my pic on a Prima Wood Veneer ATC, which I sprayed with the Woodbine. Sorry this pic is so dark....it was a rainy day, and I just couldn't get enough light on it. Here I used the Creative Embellishments Flourish, naked! Love that look, and it coordinates beautifully with the Prima Corkboard Stickers. The flowers are Prima from their Epiphany Collection. The alphas are from K&Co. Here you can see both of the stenciling I did, one white, one red. On the left edge of the layout, I added a 13 Arts sticker and a wood veneer key. Almost forgot....I added Distress Ink in Black Soot around the edges. I know, I know....haven't posted much. With good reason.....I've been pretty sick for the last week or so. Still not doing very well, but much better than a few days ago. So, I will share the rest of my Flying Unicorn CT projects for November with you. There's not too many left. I really wanted to post this for Thanksgiving, but ...... Anyways, I love this canvas, and will probably display it year round in my scrappy space. The mini canvases were included in the kit, and I used two here, and the other for the next project. Another project that will stay out year round. Love this pic of my SIL!! Who knew BoBunny girly girl papers would be perfect for this layout!!! Love how it turned out!! I really wanted to use this pic of DD Ashley, but had already glued it to a Prima frame (not in the kit)....decided to use it on this layout anyways! Gorgeous images from the BoBunny papers! A cute girly girl card! Again, the birds....so adorable!!! And after making all of these projects with the SABP Kit, I still have a ton of product left!!! Made with bits and pieces of stuff you might not think about using.....a candleholder for the body, a paper mache egg for his head, a bottle cap for the hat, a skewer for his nose, dominoes for the wall, and a Prima Wood Veneer Box for the base! So that's it for this month, tomorrow brings new projects for December!!! I have had quite a bit of time to think about my blog posting, and have decided to make myself a schedule. The plan, is to post every Monday and Friday, with possibly additional posts throughout the month. I figure if I get on a schedule, it will be easier to stay on top of it. Having said that......see you on Monday!!! It's a new month, so that means a new challenge is up at 1~2~3 Get Scrappy!! Wait til you see the Board!! I had a hard time picking a row, this month. Not because they were difficult, it's just that I couldn't decide which one I wanted to go with! LOL I finally settled on the last vertical row: Holiday Theme, Masculine and Kraft Colored Background. I am still debating on whether this is masculine enough, as I did add more flowers and lace, than originally intended. Actually, I wasn't planning on adding any flowers or lace....but things changed direction somewhere! While searching through my stencils trying to find one with snowflakes, I realized that I don't have one! So I decided to make my own. It would have been easier to use my Cameo, but I was in a hurry. So I took out some plastic packaging, and diecut it with Spellbinders Create-A-Flake Three. The homemade stencil was used with gesso to create the plain snowflakes. The upside to going this way, was that I now also had the positive plastic snowflakes, which I colored with Ranger Alcohol Ink in blue tones. The next step was to add more snowflakes with an older BoBunny snowflake stamp and Tsukineko Brilliance in Moonlight White. Sorry the pics are blurry....between the plastic packaging snowflakes and the bling, I kept getting unwanted reflections. Unfortunately these are as good as it gets. I wanted to add something to the centers of those stencilled snowflakes, and probably tried every jewel, pearl, brad, etc, from my stash, before deciding on the We R Memory Keepers Large Eyelets in white. I backed them with scraps of paper, so you wouldn't see through the holes. The large blue and white leaf is a piece of scrap paper, diecut with a Prima Leaf Die. The trees....probably my favorite part of this layout! Simple, staggered, distressed on the edges and all made from scraps! I highlighted only one, using Tim Holtz belt buckles ......I think that's what they're called. Going through my stash looking for any flower that would fit, was the next step. And I did find a few......a Jolee's Boutique Flower (large ivory), older Heidi Swapp felt flowers (brown), Maya Road embroidered flowers, which I took apart, and Recollections (small blue and grungy ivory). And then I found a crochet flower that fit perfectly. A few more embellies were added, including a Maya Road bingo piece as my title, more Tim Holtz Ideaology pieces, Prima Junkyard Findings and Recollections bling. A bit of stamping in the corners with Prima Stitches Stamp and StazOn Ink in Timber Brown as well as Ranger Archival in Coffee. The edges were finished with Tim Holtz Distress Ink in Walnut Stain. I hope you enjoyed my layout....let me know if you think it's too girly! Now head on over to the 1~2~3 Get Scrappy Blog, and check out all of the DT projects. And do play with us, with this awesome challenge!